A family legacy of generosity that began in the heart of North Carolina now extends to the mountains and the sea. 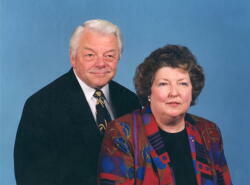 Charlie and Lucy Gaddy lived in Raleigh and were well-known for their community involvement, leadership and generous charitable giving. 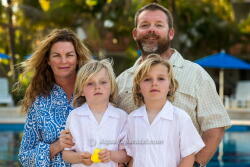 Recent conversations with their sons Fin and Will Gaddy shone a light on an upbringing informed by involved parents who were active in their community and generous with their charitable contributions, though each with a separate style. The elder Gaddys’ approach to philanthropy certainly had an impact on the brothers. 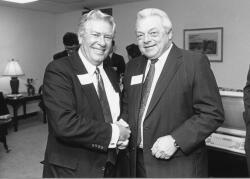 Charlie Gaddy was instrumental in the launch of the North Carolina Community Foundation as a founding board member who helped NCCF get established. “I would certainly describe him as one of the most influential early members of the board,” said Cherry Ballard, who has been on the NCCF team almost since day one. He was outgoing and gregarious and enjoyed a high profile as a real estate developer around Wake County and Raleigh, where he served as a member of the city council. Lucy Finch Gaddy followed in the footsteps of a long line of generous North Carolina philanthropists. She added a personal touch to this legacy by tending to the needs of the ill, dropping by with a get-well card, homemade food and her infectious good humor. Together, the Gaddys’ interests were wide and varied. Education was a special focus, with contributions and leadership involvement supporting Ravenscroft School, William Peace University, Meredith College and Hargrave Military Academy. A special gift to Peace resulted in a meditation garden named for Mrs. Gaddy. 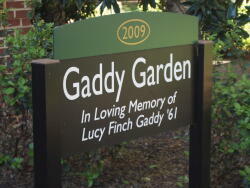 The Lucy Finch Gaddy Garden is a beautiful spot on the campus and reflects her love of gardening and flowers. Their sons’ giving mirrors their respective interests and, to some degree, the opposite ends of the Tar Heel state they both call home. 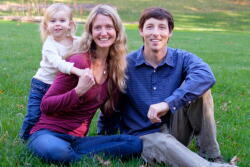 Will lives in Asheville, where he and his wife Ellen support a wide range of causes. Both are particularly interested in sustainable agriculture, local food projects and causes that help eliminate hunger. They also avidly support organizations that promote the rights and well-being of women and children, both locally and globally. Both of the Gaddy brothers said they will pass down the legacy of giving to their own young offspring when the time is right. “I want her to be thankful for the privilege she has been given to help make the world a better place,” Will said.